Great for all ages, young to older adults! This year we are proud to bring you the latest and greatest entertainment sweeping the nation! 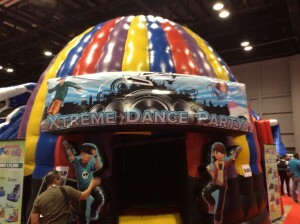 It’s the Xtreme Bounce Dance Dome and it’s huge! It’s a Bounce House, a DJ and a light show all in one. This is great for anyone who loves to dance, jump, listen to music and party!